Our annual fundraising concert is back in Monroe’s Live this year, on Friday 11th March! 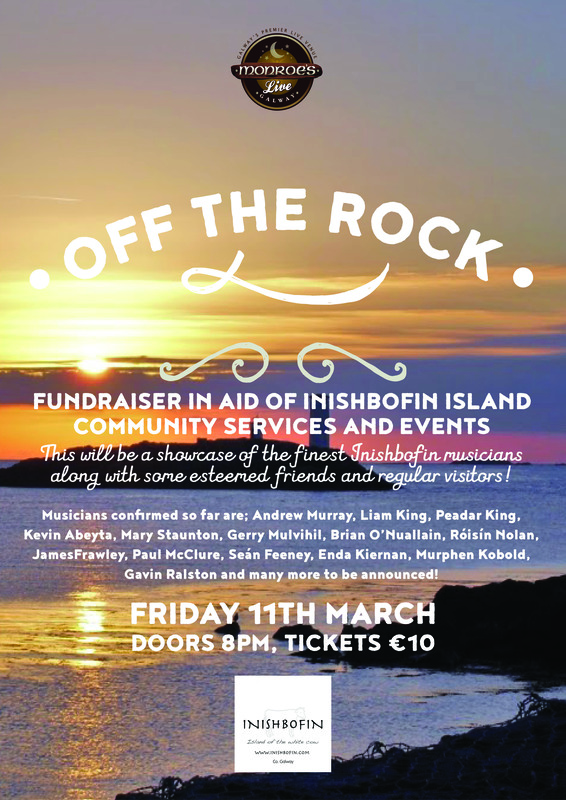 As ever, this promises to be a brilliant night of entertainment, and all funds raised go towards helping run our community events and projects on Inishbofin. Put it in the diary!